High cost is not always the same as high quality. There’s nothing worse than learning that you’ve overpaid for a product or service, especially if you shelled out premium pricing for something that wasn’t top-of-the-line quality. Unfortunately, commercial internet service is no exception to the cost and quality variations that plague many other industries. Depending on your data vendor, your experience can vary. Here’s the best way to protect your businesses’ technology budget and unlock the benefits of high-quality commercial internet connectivity: know what you need and purchase data services that best fits your needs. Over 23 years in telecommunications, we’ve learned that business communication solutions are not one-size-fits-all. There’s not just one fiber solution in the greater DC metro area that's right for everyone. 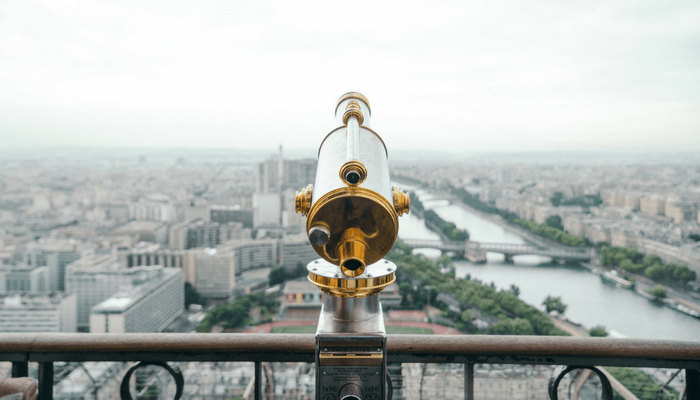 However, the following considerations can guide you to understanding your requirements and getting the best internet quality and pricing possible. How many employees and locations does your organization have? Are you going to be using your fiber-optic internet service to support unified-communications-as-a-service? Can you tolerate any downtime or do you have face 100% uptime compliance requirements? Your business internet service has a direct relationship with your productivity, efficiency, revenue, and profitability. Reliability and quality shouldn’t be optional, regardless of whether you have 10 or 10,000 employees. If your internet connectivity goes down, it takes your voice-over-IP phones with it, and you run the risk of missed client communications, lost profits, and damaged reputation. If you’re shopping for business class solutions, make sure you’re not going to run the risks of buying residential-level internet connectivity. Learn how to avoid unreliable commodity service in What's the Difference Between Residential and Business Fiber Internet? However, having some understanding of your needs as they relate to your size, total number of sites, industry, and surrounding technologies can help guide you to the right class of solution and a provider who can meet your needs. If you know you’re in need of one or the other when it comes to business vs. enterprise-class options, that’s great. Remember, not all solutions marketed as “enterprise” or “business” are what they appear on the surface. Do I need business class or enterprise class commercial internet? Do you have any clients with similar businesses to ours, in terms of size or industry? Can your internet solutions support our technology roadmap and scale like we need it to? Do you staff trained technical personnel? What do they specialize in? Have you performed complex, multi-site internet implementations? To learn how one large organization achieved a seamless upgrade to their communications infrastructure, check out The Montgomery College Case Study. Would you ever buy a car at sticker price from the first dealership you visit? Probably not. With internet service for business, it’s also important to shop around. Not only can vendor pricing vary significantly on monthly client bills, but your vendor’s infrastructure also has a huge impact on your upfront costs if you’re switching from DSL or cable to fiber internet. It’s always wise to collect sufficient data for an informed decision. Fast-track providers with network proximity to your location. Using online resources to check which providers have fiber access to your building, prioritize conversations with vendors whose internet is close to your location to keep installation costs as low as possible. Be wary of major cost-cutters. The majority of nationwide fiber internet providers aren’t selling you access to their own fiber-optic internet. Chances are, they’re re-selling a fiber ring that’s maintained and operated by another company, and adding costs on top of their rental fee. Not only can this lead to avoidable expenses which don’t translate to quality, but it can also lead to quality issues. Time to repair issues is increased if a reseller is simply opening a ticket with the "real" carrier. If you’re not sure whether you want to opt for fiber connectivity or stay with cable or DSL, consider the future potential of fiber-optic internet connectivity. For many businesses in the DC Metro area, fiber is actually cheaper than traditional approaches to business internet service. It can also allow you to unlock huge benefits like speed, less latency, reliability, and data security. Glean more insights from the Atlantech blog: The Top 5 Advantages of Using Fiber Internet for Business. Bundling your services is an immediate way to save costs. If you’re already using VoIP phones, you could save money on your monthly bill by getting your business phone and internet service from the same vendor. The right vendor for your needs may offer flexible, customizable solutions to meet your Unified Communications needs, regardless of whether you’re planning on sticking with VoIP and data or opting for a full suite of cloud communication tools. Simply offering the ability to bundle is no guarantee of quality, however. Avoid falling into the trap of national resellers of solutions, or purchasing low-quality phone and data solutions designed for residential use. Value occurs when you secure the best quality at the right price. Cost and quality vary significantly when you’re shopping for commercial internet service, and understanding how to assess vendor’s service offerings and collect quotes can enable you to avoid overpaying for quality that you’re not receiving. 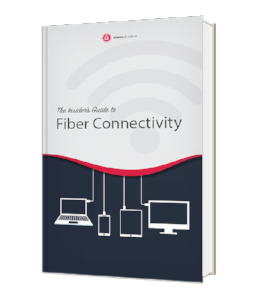 For more insider insights into getting the highest value internet service possible, check out The Insider's Guide to Fiber Internet Connectivity.